Commercial, industrial and municipal markets around the globe are harnessing the value of sunlight – the Earth’s most abundant natural resource – to provide the affordable, fixed rate energy to power their offices, factories, schools, hospitals and more. 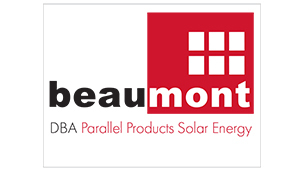 Beaumont Solar is known for providing best in class technologies backed by our unmatched best in class construction capabilities to design and construct highly advanced solar systems on landfills, carports, rooftops and ground arrays. With Beaumont Solar you get “The Power of Vertical Integration,” where within one company we engineer, design, install and maintain every system we implement. The result is a more streamlined, reliable, cost-effective renewable energy solution. Our specialized staff will consult with you to identify the most efficient system designed for maximum ROI based on your individual financial model.